November 17 is World Prematurity Day—part of an entire month devoted to Prematurity Awareness. In recognition, we’ve compiled some critical tips and information about NICUs. More babies than ever are spending time in NICU—up to 15 percent—potentially due to higher rates of cesarean birth, more screening for things like gestational diabetes and Group B Strep infection (meaning more mothers will test positive for these conditions), and more epidurals (which may lead to more fevers in mothers). Of course, nobody wants or expects to end up in the NICU, but it helps to have information about what to expect. If you’re pregnant, now is a great time to speak with your OB about how your hospital’s NICU works. Arming yourself with information in advance will help you feel more prepared and confident—just in case. Remember: You are the parent. Even if you can’t hold your baby, you can still talk and sing to them, touch them, and just be near. You may need to advocate for yourself, even it seems like being pushy, but you are the bottom line when it comes to looking out for your own needs. Don’t be afraid to ask the NICU doctor and nursing staff questions. They’re used to it! Just because your baby is in the NICU doesn’t mean you can’t be close to them. Feel all the feels. NICUs are different everywhere. New York City is one of the more challenging places to have an infant in the NICU because there isn’t space for parents to room 24-7. If we could, we’d wave our magic wand and add parent beds, like other NICUs have! That said, if you can’t stay with your baby overnight, consider staying with a friend or at a hotel or Airbnb near the hospital. We have also heard of people bringing in cots, though it might not be the most comfortable of options. Developed and formalized by neuroscientist and preemie/breastmilk researcher, Dr. Nils Bergman, this method involves placing your baby in an upright position on your bare chest (or your partner’s). It’s especially encouraged in the NICU setting because it’s great for infants; it helps them stay warm, sleep more deeply, and keep their breath and heartbeat regular. Plus it can help you make more breast milk and reduce your own stress levels—something that’s critical for every parent! Make sure to ask about this method. 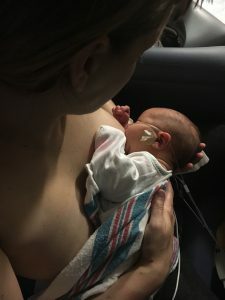 Kangaroo care is routine in many NICUs and unheard of in others. 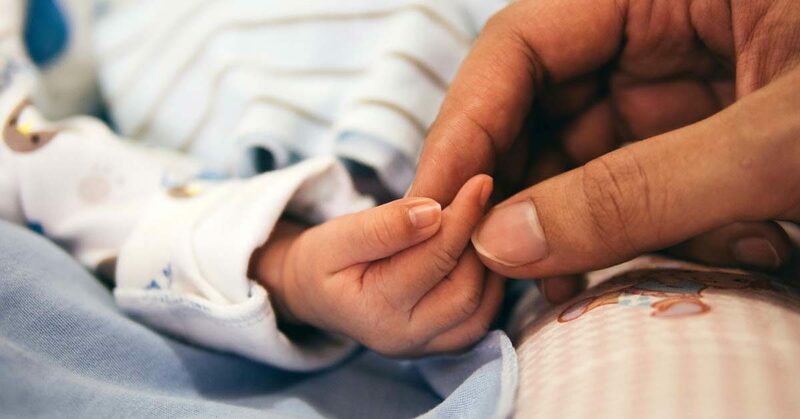 Taking care of yourself while your baby is not well or being monitored might feel impossible, but it’s so important, and it helps you be there for your little one. Shower, take naps, and eat healthy snacks to keep your energy levels high. Taking walks, deep breathing, and spending time with loved ones also helps. It’s completely normal to have many complicated feelings while your baby is in the NICU. Processing these with a therapist who specializes in birth and new parenthood can be amazing, either through in-person or with video sessions. We recommend Olivia Bergeron of Mommy Groove or Evelyn Gama of Evelyn Gama Counseling. It can also help to document the experience through journaling or taking pictures and videos. This experience is generally a blur, but someday you will likely want to look back and remember these early days. The day you bring your baby home is a great day to do a reset moment. Take time to lay down in bed, skin to skin with your babe, and make a fresh start. Talk to your baby, tell them you’ve been thinking of them the whole time you were separated, and invite them to their new home.